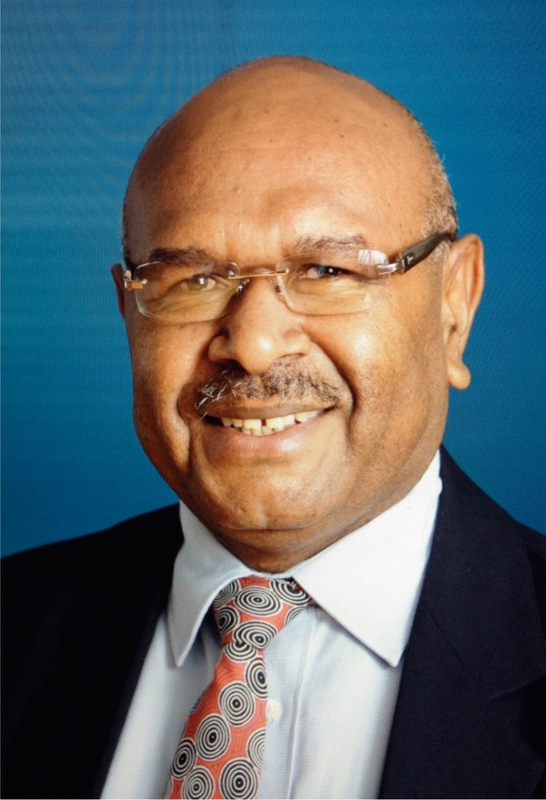 "PNG Resources Industry: Investment and Partnership to Enable PNG’s Growth and Development ". We acknowledge the traditional owners of the land on which we are gathered here today. Prime Minister of Papua New Guinea Hon Peter O’Neill, Cabinet Ministers, Members of Parliament, Government representatives, distinguished guests, landowners from PNG, and a special welcome to a landowner from Alaska, ladies and gentlemen. It gives me great pleasure to welcome you all to the 15th PNG Mining and Petroleum Investment Conference in my capacity as President of the PNG Chamber of Mines and Petroleum. On behalf of the Chamber and its 220-plus member companies, I take great pleasure in once again welcoming the Prime Minister Hon. Peter O'Neill. This is the fourth time the Prime Minister has attended this conference and we thank him for agreeing to again set the tone for this conference with his keynote address, and preside over the opening of the three-day event. I am confident you will all find the conference enriching and valuable. This event creates an ideal occasion for networking with an eye on major investment and development opportunities at a time when the greatest resources investment surge in PNG’s history is about to eventuate. Queensland and Western Australia as well as from ten other countries, including China, Japan, and Malaysia. This conference would not have been possible without the support and sponsorship of many companies for both the conference and the trade fair and, so to you all I extend my sincere thanks. An exhibition showcasing 53 exhibitions will be running con-current to the main conference proceedings. Please take time to visit these exhibitions. Ladies and gentlemen, the theme of the conference is "PNG Resources Industry: Investment and Partnership to enable PNG’s Growth and Development ". As many of you know, the world’s limelight was on PNG this year when it successfully hosted the APEC 2018 Summit in Port Moresby. The Summit saw some of the world’s top leaders from the other 20 economies converging on Port Moresby for the meeting. 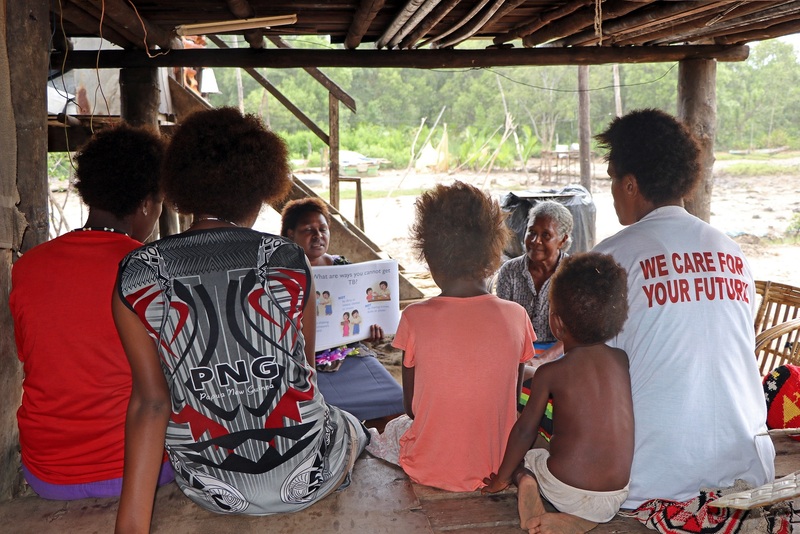 PNG witnessed a range of partnerships forged. Prime Minister, the Chamber congratulates your Government on these partnerships because these will ensure the petroleum industry remained competitive on a global scale. The announcement by the US, Australia, New Zealand and Japan about the K3.6 billion agreement to supply electricity for up to 70 per cent of Papua New Guineans by 2030 is also highly commendable and the industry stands ready to support your Government on this initiative. 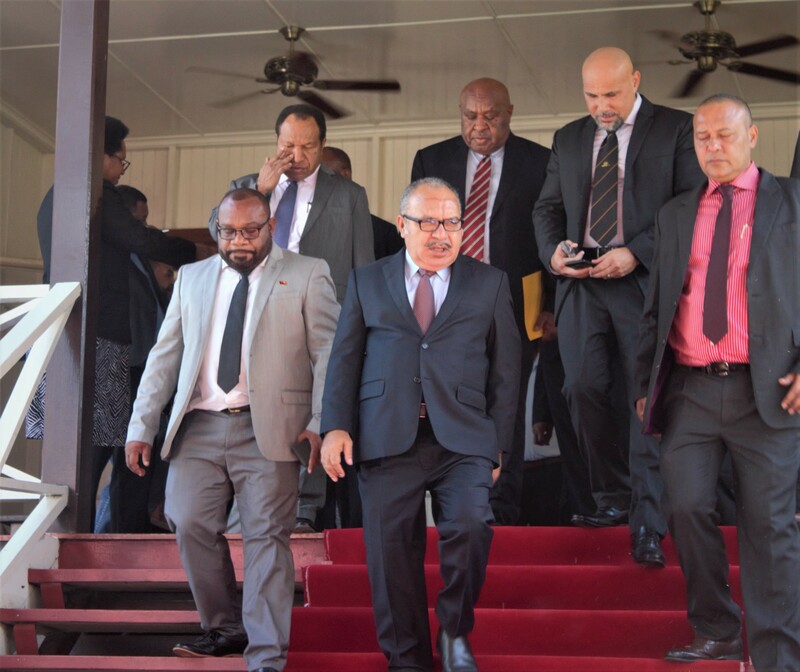 Having the Pacific Islands leaders attend was a historic initiative of Prime Minister Peter O’Neill and through that, a cooperative endeavour has been forged for PNG and the entire South Pacific region leaders to share its rightful place on the world stage. This is the 15th Mining and Petroleum Investment Conference that the PNG Chamber has organised in Sydney, which attracts participants from diverse range of interested parties to bankers, and mining and petroleum companies to resources importers. This conference has been earmarked by global resource sector participants as the premier investment conference on mining and petroleum in Papua New Guinea, the investment and regulatory climate and future opportunities. A vibrant PNG services sector has also been spun off from our world scale mining and petroleum projects from the opportunities that arise from this one single forum. Hon. Prime Minister, we are encouraged by the open and frank dialogue that exists between Government and industry. We thank you and your government for your ongoing support, as demonstrated with the progress of several projects, which are now moving into their final stages for government approval, especially the Papua LNG, and the Wafi Golpu projects. The signing of the Memorandum of Understanding (MoU) over two weeks ago during the APEC Summit between the government and the proponents of the Papua LNG project is most welcome news for the industry and this conference. The signing marks a significant step forward for the project and forms the basis for a Gas Agreement that should equitably and appropriately allocate project benefits and returns among stakeholders. The agreement follows the Papua LNG and PNG LNG joint venture parties reaching broad alignment early this year on the preferred downstream concept for the next phase of LNG development in PNG. This comprises the construction of three 2.7 million tonnes per annum (MTPA) LNG trains, producing approximately 8 million tonnes per annum, all located at the existing PNG LNG Project plant site. Two trains will be supplied with gas from the Elk-Antelope fields, while one train is underpinned by gas from the existing PNG LNG fields and the P’nyang field. As an industry, the progress of the Papua LNG MoU demonstrates the government’s commitment with its partners and we are confident that it will pave the way for other major projects in the pipeline to be negotiated and concluded. Ladies and gentlemen, as stated earlier, APEC has given PNG the attention it deserves as a country of endless investment opportunities, despite its challenges. I would like to commend and congratulate our Prime Minister Hon Peter O’Neill, for his outstanding leadership in successfully hosting the 2018 APEC Summit. APEC 2018 opens up potential new investments and frontier markets amongst the other APEC members, and these can only consolidate PNG as a great investment destination. Energy, infrastructure, Information and Communication Technology, Education, Services and resources industries were critical agenda items on the APEC discussions. Many of these discussions will lead to transformational projects that will grow PNG’s economy and make it prosperous. The Government’s debut 500 million US dollar Sovereign Bond issue also marks a coming of age for PNG in the global financial markets. This was oversubscribed by around 600%, largely on the back of a positive future investment climate. You will hear more about some of these major initiatives and projects when their respective participants provide updates over the next three days. The Sovereign Bond issue will enable the government to provide the benefit from debt diversity and enables a robust fiscal framework. This will be beneficial to new large-scale resource projects that may seek funding in international markets. But this year has not been always so fortunate. It would be remiss of me not to mention the tragedy experienced by thousands of communities and people as a result of the devasting earthquake that occurred in February this year. Many lives were lost, and many properties were damaged when a massive 7.5 magnitude earthquake hit Hela, Southern Highlands and parts of Enga, Western and Gulf provinces. On the ground to respond to this disaster were Chamber member companies, notably Oil Search, ExxonMobil, Ok Tedi, Santos, Kumul Petroleum, MRDC, and many others whose assistance was tremendously appreciated by those affected. The governments of Australia, New Zealand and other foreign partners should also be commended for their assistance in the relief operations. I extend my deepest appreciation to you all. The Chamber specially acknowledges and thank Oil Search for the leading role it demonstrated as a first responder in coordinating relief efforts in partnership with the government and other stakeholders. Within three days after the earthquake, Oil Search used its resources and offered its Moro airstrip as the coordination and distribution hub for all the relief work, in partnership with all stakeholders to ensure relief supplies were distributed to the affected areas. I am sure you will hear more about these impacts from the industry partners themselves during the conference and can read about relief work undertaken by member companies in the Chamber publication, Profile, which has been distributed to all delegates. Prime Minister, I know that you will appreciate that the high-level of public private partnership which is forged between the resources sector and the government is the best way forward for our nation. Papua New Guinea’s mining and petroleum companies are important partners and key contributors to the national economy. The industry is responsible for approximately 26% of the nation’s Gross Domestic Product and around 80% of exports. Resource sector exports last year were valued at K25 billion out of total exports worth K31 billion. The PNG LNG project continues to meet its statutory obligations. We commend the Government on the progress that has been made to date to enable beneficiaries from the plant site to receive their royalties. Good progress is being made to ensure the balance of the royalties are paid to legitimate landowners in the upstream areas. 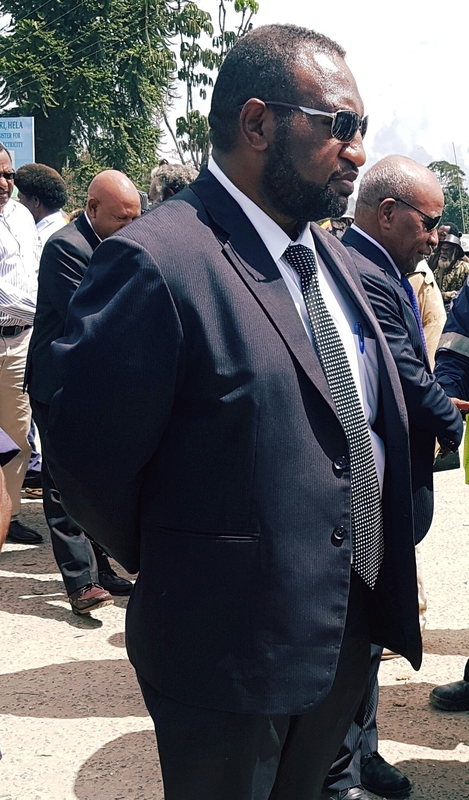 Prime Minister, ladies and gentlemen, the Chamber believes there is huge potential for further development opportunities in the mining and petroleum sectors in the next three to five years, delivering benefits to the people of PNG, but these will not proceed unless investors are confident of the legal, fiscal and regulatory environment in PNG. The Chamber is committed to supporting internationally competitive legislation that encourages and maintain investment. The Chamber and the industry are fully committed to the establishment of the Petroleum Resources Authority – a very important Government initiative. With PNG’s hydrocarbon sector expanding, it is imperative that the country has a well-resourced regulatory body. PRA’s establishment is key to alleviating many of the constraints the Department of Petroleum is currently facing. Its establishment will also assist in both increased E&P activity and commercialisation efforts, improved governance systems and a well-resourced organisation that is able to manage the world-class oil and gas sector in PNG. Prime Minister, we as an industry recognise the Government’s desire to update PNG’s mining legislation to meet the challenges of the 21st century and we fully support the development of legislation that encourages investment and provides a better outcome for PNG and its people. Ensuring a regulatory, legislative and fiscal environment that is conducive to investment is vital for securing this prosperity by attracting investors and delivering a consistent and predictable flow of government revenue. With that, we welcome your Government and in particular, our Mining Minister Johnston Tuke’s recent decision to support an independent review of the Mining Act. We at the Chamber are ready to support this review process so that together we can make sure PNG continues to enjoy the significant returns from the mining industry. The Chamber will be launching tonight a new series of awards recognising efforts and work done by our members in four different categories. Please come along to the dinner to witness the launch of these awards and the inaugural recipients as well. In conclusion, Prime Minister, thank you very much for accepting our invitation to attend this important conference. Once again, we congratulate you, your Government and our people of Papua New Guinea on the successful hosting of the APEC Summit. I would like to reemphasis here that the Chamber and the industry will continue to work alongside you and your Government to ensure there is consultation and greater dialogue on key industry policies. Prime Minister, as I stated earlier, we will support your Government’s desire to review the Mining Act, and are ready to support the establishment of a Petroleum Resources Authority. With that, Prime Minister, we invite you to next November’s PNG Mining and Petroleum Conference in Port Moresby. Before I close, a big welcome to Harmony’s CEO Mr Peter Steenkamp who will briefly speak in this session later on. And with those remarks, it is now my pleasure to invite the Prime Minister of Papua New Guinea, the Hon. Peter O’Neill, to give his Keynote Address, and officially open this conference.